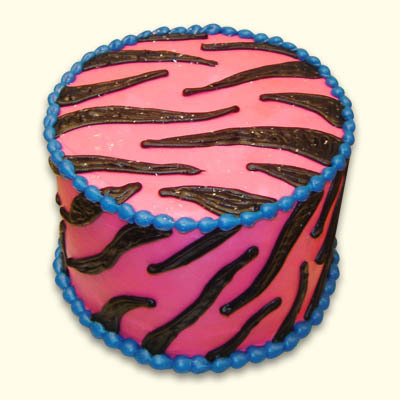 Wild & colorful zebra print icing. 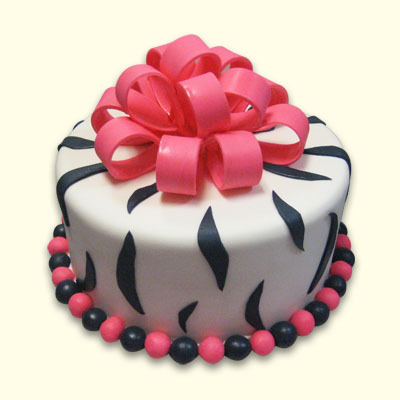 Select this color combination or we can color match to your event, theme or celebration. 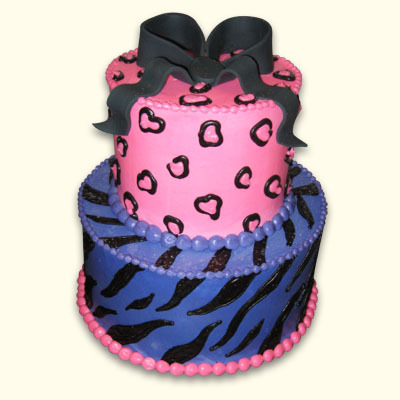 Select cake flavor, filling and frosting from our Enchanting Flavors. 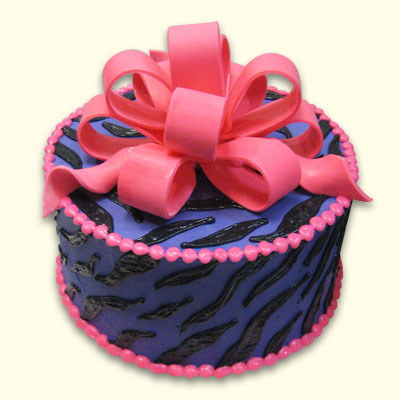 Matching cookie favors for the perfect tasty touch.